Once the winter months hit, you’ll use your heating day in and day out as your strive to stay safe and warm. All of this usage can, of course, result in mechanical issues with your heating. 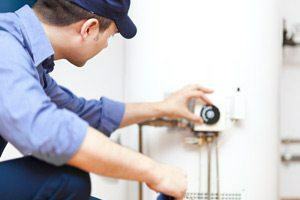 Should these issues progress significantly enough, your heating could cease to function sufficiently -- or even at all, in the worst-case scenario! To get your heating unit working again, just call on the pros at Ultra Heating and Cooling LLC for a quality heating repair. Since 2016, we at Ultra Heating and Cooling LLC have prided ourselves on providing reliable, top-quality heating repairs! Your heating is invaluable once the temperatures begin to fall. To continue enjoying your heating for as long as possible, don’t hesitate to call on the pros at Ultra Heating and Cooling LLC for all of your heating repair needs. We at Ultra Heating and Cooling LLC provide quality heating installations for both residential and commercial properties. Whether you are building a new property or simply replacing the heating unit in your existing one, you can count on us at Ultra Heating and Cooling LLC to provide you with a quality heating installation. Here at Ultra Heating and Cooling LLC, we understand that your heating unit is invaluable to your family’s comfort and wellbeing once the cold winter months hit. 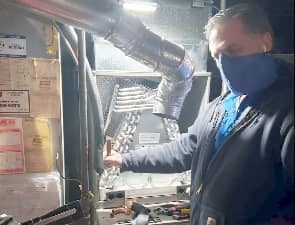 For that reason, we ensure that your heating unit will work reliably for many winters to come by providing only top-quality service using top-quality parts as we install your new heating unit. During the summer months, you’ll use your air conditioning heavily. This heavy usage can, of course, result in wear and tear to your air conditioning unit. And with enough wear and tear, your A/C could stop working entirely, leaving you out in the cold -- er, HEAT, we suppose. But you don’t have to suffer without air conditioning -- not when you can simply call on Ultra Heating and Cooling LLC for a quality air conditioning repair that’ll get your A/C running like new again! And you don’t have to wait until your air conditioning has stopped working altogether before you get it repaired. 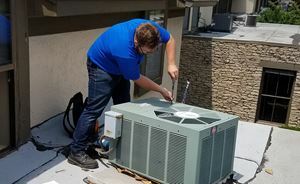 Simply knowing some of the common signs of a failing A/C unit can help you get the jump with a repair: odd sounds, burning smells, leaks, poor cooling performance, etc. Acting as soon as you notice any of these signs, you can save money by preventing the need for more major repairs. Should you notice any of those signs, just call up Ultra Heating and Cooling LLC, and we’ll rectify them with a quick, quality air conditioning repair! Are you constructing a new residential or commercial building? Or are you simply replacing the air conditioning unit in your current home or office? In either case, you’ll need an experienced air conditioning expert to get your new A/C unit installed. And if you live in or around the Kansas City area, then the expert for you should be none other than Ultra Heating and Cooling LLC. Why choose us? Because we have not only the experience but also the know-how to provide you with the best in air conditioning installation today! Indeed, as our company is headed by someone who instructs at the Metropolitan Community College in the most up-to-date air conditioning technology on the market, you can rely on the folks at Ultra Heating and Cooling LLC to provide you with only the best that the A/C market has to offer! Your air conditioning is invaluable, so you’ll want to be sure to maintain reliable A/C. And with a quality installation by the qualified and experienced experts at Ultra Heating and Cooling LLC, you can count on getting only the most reliable air conditioning possible! Hot water is important for running a safe and comfortable home. It allows you to bathe, clean, and cook in the most sanitary manner possible, making hot water an essential for any home. To maintain hot water, you’ll, of course, have to maintain a reliable water heater. And the most reliable water heater begins at installation. If you want to get the most reliable water heater installation possible, be sure to have yours provided by the experienced pros at Ultra Heating and Cooling LLC. Whether you are building a new home or replacing the water heater in your current one, you can rely on us to give you a top-notch water heater installation! It’s important for your comfort and, most of all, your SAFETY to maintain reliable hot water in your home. And with a water heater installation by the pros at Ultra Heating and Cooling LLC, you can be sure to maintain reliable hot water for many years to come! It’s also important to maintain clean indoor air within your home. After all, you’ll be spending the majority of your time within your home. That means that, if you breathe low-quality air all of that time, then you could face some pretty unpleasant health problems down the road. What problems are those? Why, you could face headaches, dizziness, respiratory issues, etc. You want your home to be the most comfortable, the safest, and the healthiest place in your life. With poor indoor air quality, your home could be anything BUT. To ensure that your home remains as comfortable, safe, and healthy as you need it to be, you need to call up Ultra Heating and Cooling LLC for all your indoor air quality work. We at Ultra Heating and Cooling LLC can get your home’s indoor air cleaned up and KEEP it clean with our indoor air quality services. We’ll clean high and low to help you maintain clean indoor air that will help you to maintain top-quality health! 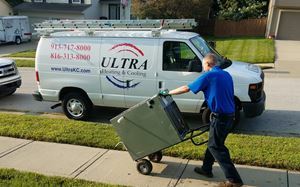 We at Ultra Heating and Cooling LLC have been established in the Kansas City area since 2016. 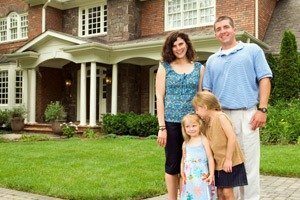 We provide top-quality Kansas City Heating and Air Conditioning services to businesses and residents situated in and around this area. Just what work is that? Why, quite a variety of work! We can provide your home or business with quality heating and air conditioning with our installation services. 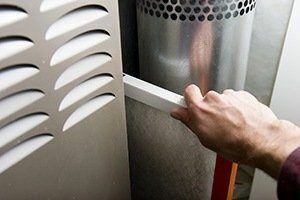 And to keep that heating and air conditioning working like a dream, we offer thorough HVAC tune-ups and repairs. 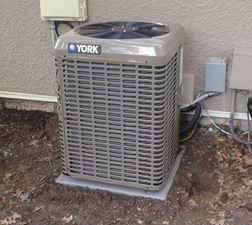 And should your heating or air conditioning get worn down past a point that a tune-up or repair can fix, you can always rely on Ultra Heating and Cooling LLC for a quick HVAC replacement. On top of our HVAC services, we also offer indoor air quality work. The air within your home or business should be as clean as can be so that you can avoid illnesses that can arise from breathing contaminated air. And should your indoor air be less than that clean, you can always rely on the pros at Ultra Heating and Cooling LLC to get that air cleaned up for you! Comfort is pinnacle, especially in an area as prone to such weather extremes as the Kansas City area can be. And to stay as comfortable as can be, be sure to call on the heating and air conditioning pros at Ultra Heating and Cooling LLC today! When to Get an Air Conditioning Repairs: Some Common Signs? We at Ultra Heating and Cooling LLC put the customer above all else, so you can count on us to provide you with only top-quality work. On top of our dedication to excellence, we also have the experience and know-how to PROMISE quality work. Indeed, big or small, no heating or air conditioning problem is too great for our team of dedicated and experienced professionals to handle! You’ll spend much of your time on this earth in your home or business, so those places should be nothing short of as comfortable as can be. And to get and KEEP your home or business as comfortable as can be, don’t hesitate to call on Ultra Heating and Cooling LLC for all of your heating and air conditioning needs!